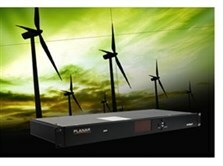 Planar is pleased to announce its next generation rear projection video wall displays. Designed for energy efficiency, the Clarity™ LED3 Series delivers increased brightness at lower power levels--two times the brightness for every watt of power than the previous generation. Plus, illumination life up to 100,000 hours at lower power levels. Planar’s SiFi3™ technology ensures the video wall is color and brightness balanced while operating at its most power efficient level over the lifetime of the video wall--all while delivering crisp, clear, colorful and bright images. The Clarity LED3 Series is engineered for an exceptionally long life and provides worry-free operation.